An Idea Challenge is a structured process to collect new ideas from large groups of people – employees, customers, partners, or other stakeholders. Done right, they create multiple radiating benefits. The most obvious are all the new ideas that might otherwise have gone unnoticed by executives. But there are other powerful benefits, such as: increased staff buy-in for new initiatives, and higher productivity and morale of a more engaged workforce. Here’s the problem – idea challenges are traditionally treated as one-time events. Though they often deliver some success, organizations often struggle to take the challenge beyond the initial project, and into a complete innovation program. As a result, participants don’t stay engaged, momentum is lost, virtual ideation often fizzles out, and innovation ultimately dies on the vine. To solve the problem, many of our Innovation Central customers are treating idea challenges more strategically – transforming them from one-off projects to a programmatic component of a broader innovation program. They’re employing challenges, not as one-off events, but as an ongoing business tool that continuously feeds the idea pipeline. And what they’re getting in return is deeper employee engagement, faster results, and greater business value. The first step is alignment: align stakeholders with the business outcome you’re trying to achieve. Align the idea challenges with this business goals and strategies. Once you’ve achieved alignment, you can assign resources, deliver challenge training to challenge leaders, and launch the challenges. Over time, the question you want to be asking yourself is, “How do we maintain the momentum?” A key to sustaining your initiative over the long term is to keep delivering innovation activities, and make sure that they are connected to company strategies, business unit goals, and core cross-company programs. It’s also important to measure and monitor results, share success stories, and continually look for new ways to improve engagement and content. Innovation management software can help you automate all of these to make your life easier. Over time, as employees and leaders are engaged in successful idea challenges, you can merge your challenges into business-as-usual practices. By taking a strategic approach to challenges, you can establish idea crowdsourcing as “the” place for ideas across the entire company, and feed a rich idea pipeline that drives innovation results throughout your business. 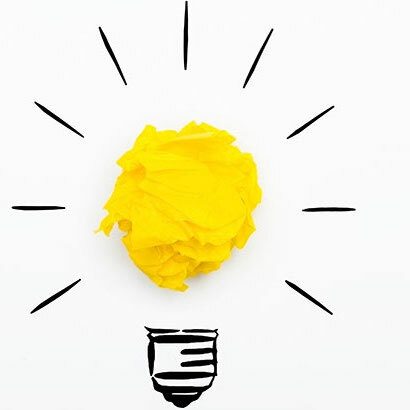 Are idea challenges part of your innovation toolkit? If you’d like to discuss how to make them a more strategic part of your organization, please Contact Us and we’d be delighted to help you get started!